Their specialty is Raagi Muddha (or Sankati) or balls made out of cooked Ragi (finger millet) flour and rice which goes well with sambar, pappu (dal) or ghee. We tried it first with the peanut chutney served alongside and were really satisfied. When eaten with a traditional pulusu, the ragi soaks in the curry giving it a divine taste. 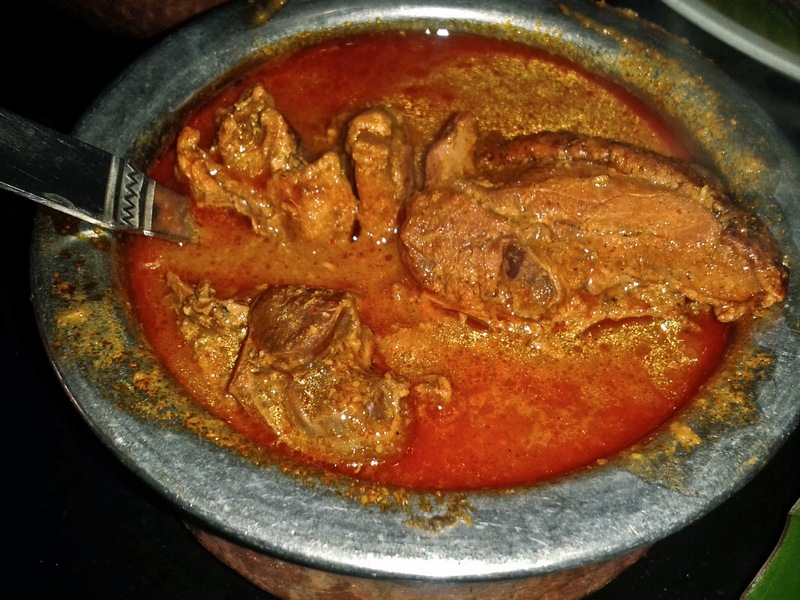 Natu Kodi Pulusu or country chicken curry is another of their sought after dishes. This spicy curry is not for the faint hearted, as one may have to drink gallons of water to douse the fire caused by the hot chili powder. However, the flavour of the fresh masalas used in the preparation comes across very well. The curry can be tried with any combination such as rice, mudda, jowar rotis or the pulao. Gutti Vankaya Koora is traditionally brinjal stuffed with masala and then cooked in a thick gravy. The brinjals were also soft and without seeds in a curry that tasted sweet and tangy. 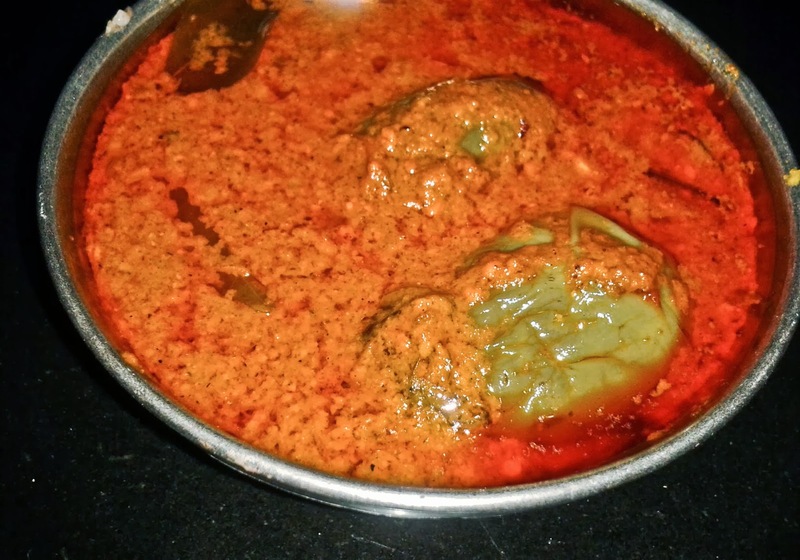 A signature dish of the Rayalseema, it is a favorite among vegetarians of the region. We asked for the traditional Andhra Pulao, but were informed that it is available only in the weekends. 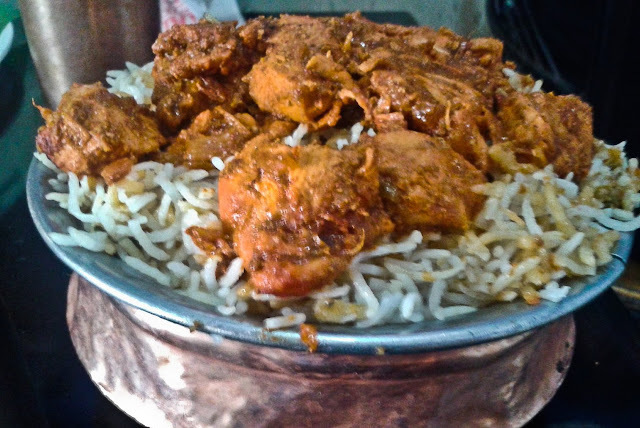 So we opted for the special Chicken Biryani is basically bagara rice covered with spicy boneless chicken pieces and masala. 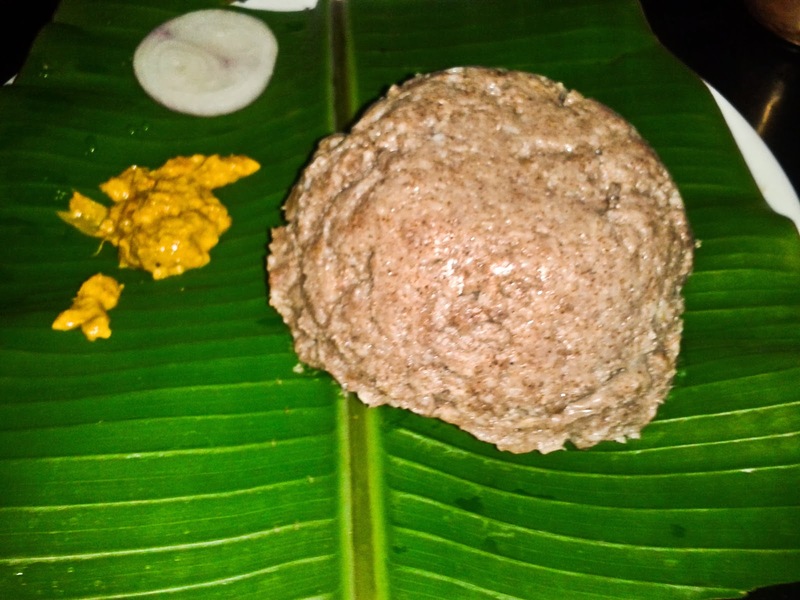 It tasted extremely delicious in combination with the pulusu as well as the brinjal curry. The raita however was too watery for my liking. Service is very fast. It is a busy restaurant with many loyal customers. All tables are occupied by lunch time, and many people patiently wait for a table. The takeaway also does brisk business. 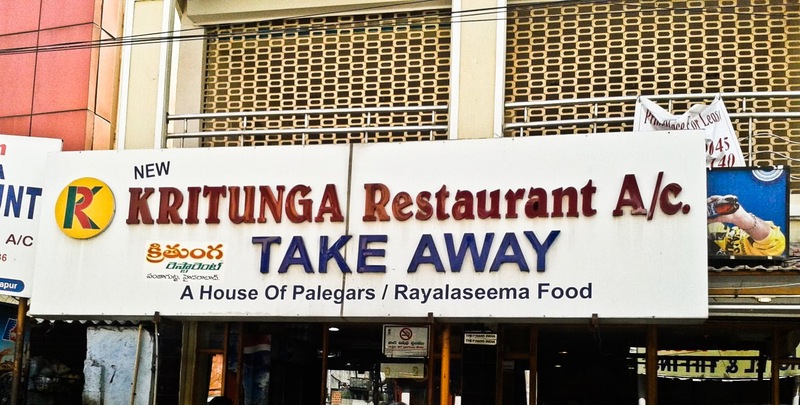 Overall, a budget restaurant chain offering decent food at a price suitable for all pockets. Meal For two: Rs 350. 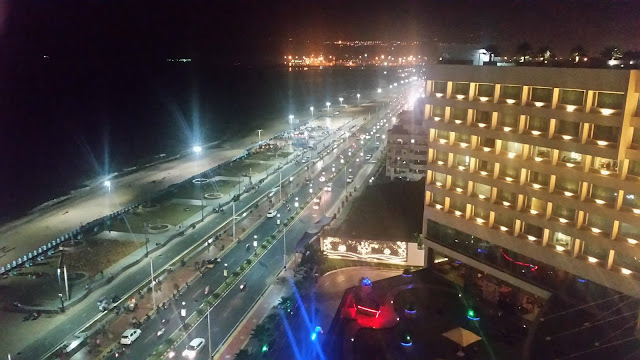 New Kritunga has branches all over Hyderabad including Ameerpet, Kukatpally and Madhapur.